Arrival at Ahmedabad station/airport. we shall depart for hotel check in,refersh. We will visit places like Gandhi Ashram, Jama Masjid, Hutheesing Jain Temple, Sardar Patel Museum. And night halt in A'bd. Next morning after refreshment and breakfast, we shall depart for Dwarka check in hotel. Later we shall visit Dwarkadhish temple for an evening Arti. And Night halt in Dwarka. Next morning after refreshment and breakfast, we shall visit Bet Dwarka, Nageshwer Temple, Gopi Talav, Gomti Ghat, Rukshmani Temple. And Night halt in Dwarka. Next morning after refreshment and breakfast, we shall depart for Porbandar visit Sudama Temple, Kirti Mandir. Later we shall depart for Somanth check in hotel. 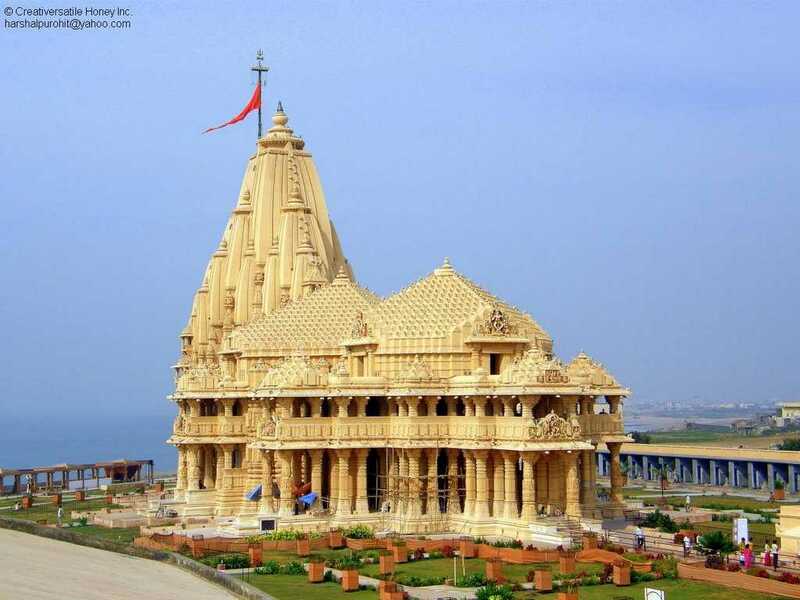 We shall visit Somnath Temple, Bhalka Thirth, Triveni Sangam, Geeta Mandir. And Night halt in Somnath.